Can you imagine a modern marketing strategy without content and SEO? To me, content and SEO are anything but equal parts of the same equation. Content fuels so much of the SEO success. No page could ever rank without actionable and engaging content, after all. Furthermore, the SEO data delivers a more relevant content marketing strategy, one that ranks more content in SERPs and attracts the right audience. Still, there is a big problem. Often content marketing teams and SEOs don’t work closely together. They either report to different managers, have competing priorities, or just approach their work from different angles which doesn’t make for the most productive relationship. The result? They miss out on incredible opportunities to drive revenue and growth. In this post, I offer ideas on how we’ve experienced SEO and content teams working well together - without compromising each of their unique talents and strengths. What is the Relationship of Content Marketing in SEO? I’m sure you’ve heard at least some arguments about the content marketing's place within SEO. The topic has been an ongoing debate for quite a while, after all. For me, the two are more equal parts of the same equation. Content, for starters, is inherent to any SEO strategy. In fact, no marketing campaign aiming to improve search visibility would ever be complete without it. There would be no way to optimize a page for target keywords without content. Alas, you can’t provide a good user experience without it either - not to mention the difficulty content marketers face with building links to pages without engaging content. This idea goes both ways, however. It’s impossible to create meaningful and relevant content without the data about customer search preferences: data a content team can receive from their SEO colleagues directly. 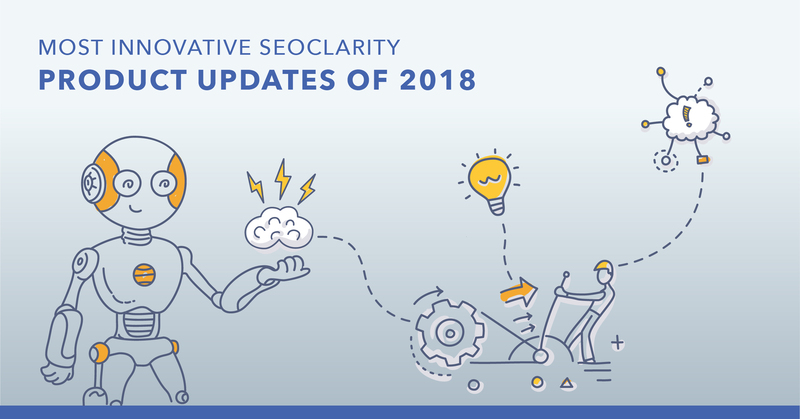 Many other SEO data points provide clarity regarding the most viable topics to cover and approaches to take to create highly-relevant content. What Do Content Marketing and SEO Teams Bring to the Table? There is a fundamental shift happening in search marketing. For one, promoting a brand in search engines requires far more than just added or stuffed keywords and optimized links. Today, search engines focus on delivering an incredible search experience to users. Brands must take a more holistic approach to gain valuable visibility within the SERP. One way to do that: they must change the way they think about SEO and content. Traditionally, SEOs consider content as a vehicle for targeting relevant keywords. Writers’ interests however, revolve around engagement, creativity and buzzworthy content strategies. 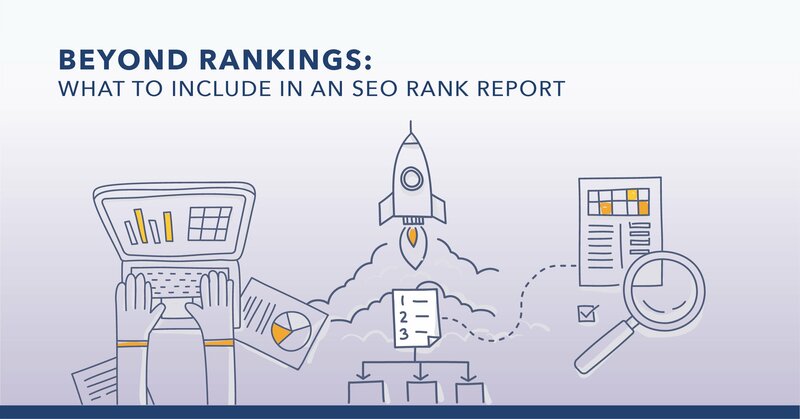 We’ve illustrated this problem and the different approaches in our Building an SEO Center of Excellence eBook. The visual above also shows how a simple shift in a conversation is enough to align the two teams perfectly. Let’s consider each team’s core interests, too. Content marketers focus on engagement and audience building. As a result, they know what engages the target audience. They also understand what information converts them into leads. SEOs, on the other hand, focus on data and metrics. They analyze the opportunity through information they’ve collected from user behavior through Google and other data sources. Their contribution is the ability to confirm the content marketers’ insights with data. In doing so, SEOs contribution helps tailor the marketing strategy to reach the biggest possible audience. Which brings us to this: Each team targets the same goal. A content marketing team focuses on building topical authority. They create content assets to position the brand along the buyer’s journey for the most relevant topics. SEOs focus on dominating the SERPs for specific topics, too. They publish pages and content to secure good rankings for search queries from buyers at different stages of their journey would use to find such information. In truth, they both target the same objective: to position the brand along the buyer’s journey. They do so with similar assets: content. Below, I’ve listed several strategies to ensure the two teams start achieving that goal together. In most organizations, both content and SEO teams have strategy documents. They define each team’s objectives and provide a roadmap to achieve them. Topic gaps which include ideas one team wants to target, but the other doesn’t know about. Why? The content team may know about a particular audience problem already. Their SEO colleagues then validate it with keyword research and other analysis. For example, using Content Fusion, our AI-driven content writer, a writer starts the SEO's keyword research data to shape the content. The first identify what search intent to target before starting the content writing process. Next, it’s important to find out what specific information would also engage the audience. And for that, analyze semantic keywords to include in the copy to ensure you've covered the topic with authority. Then, content writers or strategists find new ways to enrich the copy. You can do this manually and review the top ranking pages for the target keyword. This process allows you to identify new topics to include. Content Fusion, mentioned above, allows you to do this without the full effort of researching to understand the semantically related areas that boost relevance and evaluate how close it’s authority is to other top-ranking content. In turn, the SEO team identifies new keywords that target and address audience demand. For example, using Content Ideas from seoClarity, content writers research questions the audience asks about online. With Content Gaps, writers can compare what keywords themselves and their competitors rank for in a search. And in doing so, they identify new phrases to target and optimize. The final step is to conduct a backlink analysis of the top-ranking content. For one, this identifies how many links top performing pages have. It also identifies whether they could recreate any of those backlink opportunities. To engage today’s audiences, you need to understand their problems and deliver information that helps them solve it. Each team approaches this challenge differently, of course. SEOs look at the keyword data to uncover trend and topics their target audience researches relentlessly. Content marketers focus on social media engagement, stickiness, and highly trafficked blogs and then “repeat”. Imagine what would happen if you’d combine those approaches! The writer identifies new audience challenges. She, then, communicates her findings to the SEO team to research relevant keywords that match those problems. Then, they both would fine tune the topic to ensure the content was covered completely, align their ideas with the search intent, and evaluate how to outdo current ranking pages. For content to rank, it has to target what the competition does well too. In fact, analyzing top-ranking content is the shortest way to discover new opportunities to rank higher. Both teams should provide insights to uncover those. The SEO team utilizes their strengths to identify factors that make those pages rank so well. For example, the length, a common structure, the type of information included and much more. What’s more is that it's used to analyze top-ranking content’s meta tags, too. Content teams, on the other hand, can leverage social media data to identify how well those pages engaged the audience. And in turn, discover how to create content that engages them even better. SEO and content are critical for any marketing strategy today. Unfortunately, too often we hear about the teams responsible for them choosing to work independently, despite the ways in which both teams inherently drive growth. Hopefully, in this brief guide, you’ve discovered how to change that, and combine each team’s expertise to drive even higher marketing ROI. What are some ways that your content teams and SEO teams work together? Leave us a note in the comment section below!